And we are always open one hour prior to all live performances. Please note we have upgraded to a new online ticket sales service. ShowClix is even more user-friendly and we hope it will allow you to purchase tickets on mobile, tablet or desktop seamlessly and with no problems. As always, our amazing volunteers at our Box Office (at 905 885 1071) are ready to help you make your purchases or answer any questions. Shop the best of today's fashions for men and women. Brands include Buffalo, Kenneth Cole, and Mexx among other top designers. Display your tickets and receive 10% off of regularly priced items. 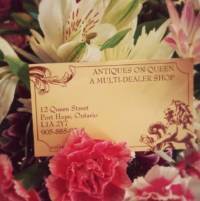 Visit Antiques On Queen and browse Port Hope's most beautiful collection of curated treasures. As an added bonus, present your theatre tickets and the tax will be included on your purchase. 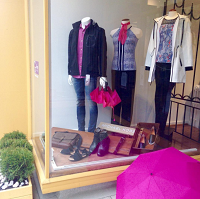 Unique and exciting accessories and fashion make shopping at Kenneth Bell a delight! 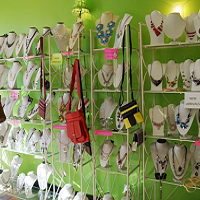 Find your glitz or shop for a gift to impress someone special! Flash your theatre tickets for in-store deals. 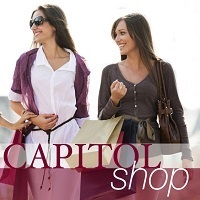 Visit these Capitol Theatre partners and receive special offers and discounts. Show your tickets wherever you see our Golden Ticket sign on display in historic downtown Port Hope! 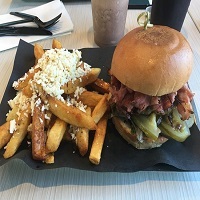 Voted "Best Burger In Canada" by Canadian Living Magazine, enjoy 10% off tickets to any event by showing your specially marked bill from this Premiere Dining Partner! 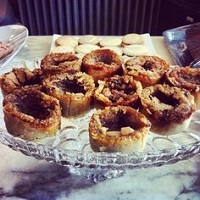 Queenie's Bake Shop is perfect for a tasty meal and warm cup of coffee. Located beside the Ganaraksa River, the staff at this popular spot are as friendly as the sweets are delicious! 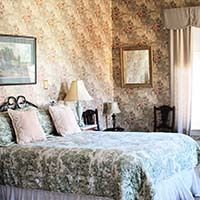 Located in the historic Waddell Hotel, Gusto is perfect for a romantic evening, intimate family gathering or business event. 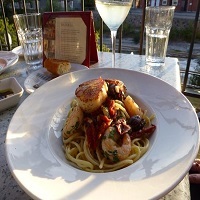 Experience first-rate service with exquisite cuisine. Visit any of these Capitol Theatre partners and show your tickets at participating restaurants and experience special discounts and exceptional dining in Port Hope! Visit any of these Capitol Theatre partners and receive special offers and discounts exclusive to our ticket holders. Show your tickets wherever you see our Golden Ticket posted and experience the excitement of the overnight vacation in Port Hope! Relax by the river at the beautiful and historic Waddell. Fine dining on site, steps to the Capitol Theatre – be sure to ask about the Golden Ticket discount when booking. 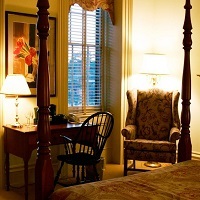 Stay in comfort at the Best Western Plus Cobourg Inn & Convention Centre. Show your tickets and receive a 25% room discount at check-in. 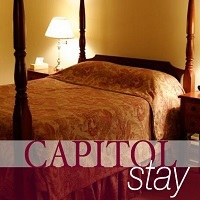 Stay in our beautiful historic manor with modern conveniences in downtown Port Hope, walk to the Capitol Theatre. Every stay includes a complimentary breakfast! Mention your Golden Ticket to receive 15% off the room rate. 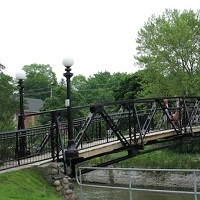 Find useful information about Port Hope, discover what's on in town during your visit and plan your trip with the help of Port Hope's local tourism resources. 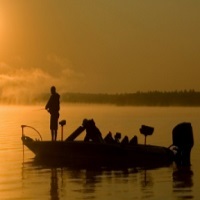 Check out the Kawarathas Northumberland regional resources, including a convenient trip planner to help you get the most out of your visit. 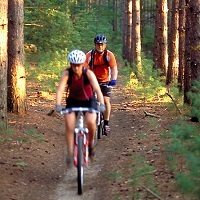 Visit for more information about Northumberland's best cycling routes, outdoor adventures and much more. Home of the famous Crazy Cookie! 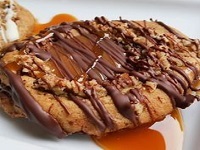 Visit Dreamers Cafe for lunch or skip right to coffee and dessert. Dreamers has treats to satisfy every sweet tooth craving - including ice cream and milkshakes! WINTER: Mon-Fri 10am-4pm Open one hour prior to all live performances. Theatre opens one hour prior to live performances.